Modern dental fillings and dental crowns help patients by protecting their teeth, and by sustaining the quality of their smiles. Because your Sheridan, WY dentist’s office uses attractive, lifelike materials, the work you enjoy can appear natural, which can be a relief to you. While your appearance matters, your dental function matters, too. These restorations provide functional support in addition to cosmetic support. In other words, once your work is complete, you should have no troubles with biting and chewing. If an older restoration is no longer providing this support, it may be time for a replacement. Dental restorations are meant to be long-term answers for problems with teeth. Unfortunately, any work you undergo needs to last, because damages done by trauma and cavities are permanent. Our practice understands the importance of quality work. While our fillings and crowns can look remarkably like your natural teeth, they are also intended to provide the necessary support to protect your smile whenever you bite and chew food. What Kind Of Restoration Will You Need To Protect Your Tooth? When providing restorative dental work, your dentist will pay attention to the condition of your tooth, and make sure you have proper support. A dental filling is recommended when a tooth needs relatively minor support. A resin filling will only take up the space where your natural tooth structure was lost to damage or decay. If the problem is simply too big for a dental filling, it will be time for a dental crown. Crowns require some modification of your tooth structure, as the restoration needs to fit comfortably over the tooth. Fortunately, your dentist can use CEREC technology to produce a custom crown in the course of a single appointment. You may need work on more than one tooth if you have spent a long period of time away from the dentist’s office. Our practice is ready to help you bring your smile back to truly good health by arranging a full-mouth rehabilitation. In addition to planning work for damaged or decayed teeth, we can also work with you on restoring your smile by replacing any teeth you have lost. Grinnell Street Dental is proud to make attractive restorations available to people in and around Sheridan, WY. 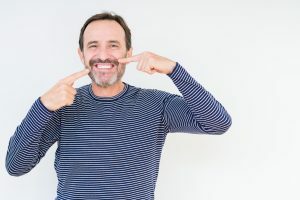 While they are impressively lifelike, the modern fillings and crowns available at our practice also help protect your teeth from future problems, and allow you to bite and chew without problems. To learn more about Grinnell Street Dental, or to arrange an appointment with one of the doctors at our practice, contact our Sheridan, WY, dental office today at (307) 672-7567.